The third Beauty of Recycling show was held on World Environment Day 2012 in association with FabIndia. In addition to the exhibition and sale of upcycled products was also organized a fashion display of garments made of waste, a junk percussion performance by the children of Dharavi and a drunk circle with Taal Inc. 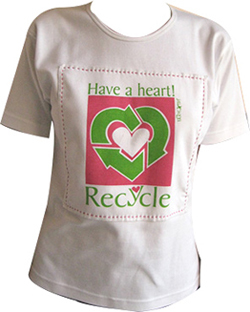 The second Beauty of Recycling show was held on World Environment Day 2011 and it focussed on natural and recycled alternatives to the plastic carry bag. This was held at two locations in une with FabIndia and one location in Hyderabad with Daaram. The first Beauty of Recycling exhibition was held on World Environment Day 2010 and it showcased a wide range of recycled products. This was held at two locations in Pune with FabIndia.